Kirke Smith was born July 22, 1865 in Montgomery County, Virginia. He graduated from Berea College in1894 and earned an M.A. degree from the University of Michigan. In 1894, Smith became the Superintendent of the Lebanon Colored Schools and the following year, Superintendent of Principals in the Lebanon, Kentucky school system, a post he held for fifteen years. During this period he also became an ordained minister. 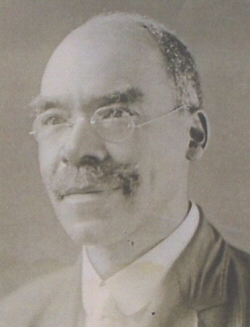 On January 12, 1904, Democratic representative Carl Day, of Breathitt, Kentucky, introduced House Bill 25, “An Act to prohibit white and colored persons from attending the same school.” The so-called Day Bill was aimed at Berea College since separate public schools for blacks and whites had been the law in the state for some time. After a lawsuit to defend its interracial educational policy was defeated in the courts, Berea raised funds to establish a new school for blacks. From 1910-1912, the trustees employed Rev. Kirke Smith and Rev. James Bond, the grandfather of Julian Bond, to raise money for the new school which would be named Lincoln Institute. When Lincoln Institute, located in Simpsonville, Kentucky, opened its doors on October 1, 1912, Smith became the Dean of the Normal Department and the Dean of Men, posts he held until 1935. Whitney Young, Sr. became the first black president of Lincoln Institute in 1935. The Day Law was amended in 1950, allowing Berea and other colleges to re-integrate. Four years later the U.S. Supreme Court decision in Brown v. the Board of Education removed the Day Law from the books. Today Lincoln Institute is now called the Whitney Young Manpower Institute. Kirke Smith died December 25, 1935, in Anchorage, Kentucky. John A. Harding, Fifty Years of Segregation: Black Higher Education in Kentucky, 1904-1934 (Lexington: University of Kentucky Press, 1997); Eric A. Smith, "Discovering History Through Genealogy: Kirke Smith and the Founding of Lincoln Institute,” Afro-American Genealogical & Historical Society of Chicago Newsletter 23:4 (June 2003).